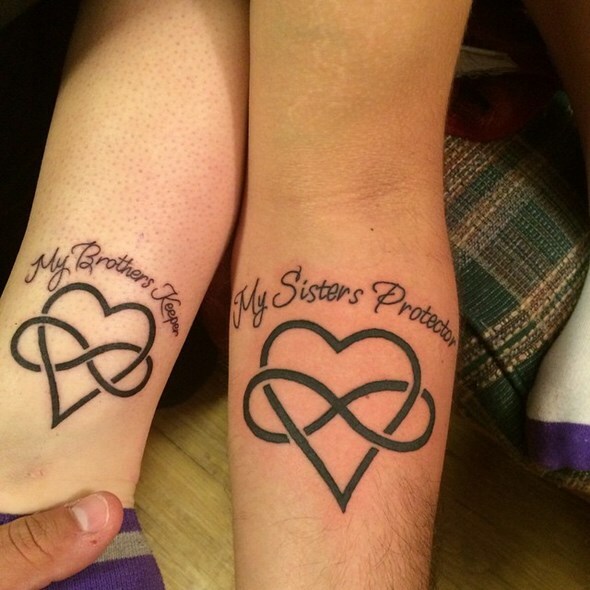 These 17 Siblings Try Similar Tattoos to Prove Siblings Have the Strongest Bond of All! Siblings have a relationship like no other, a bond that defies distance and time. You grew up together, played games together, and even plotted to kill each other at times. But you overcame every single argument because you knew that family love was more important than fighting. 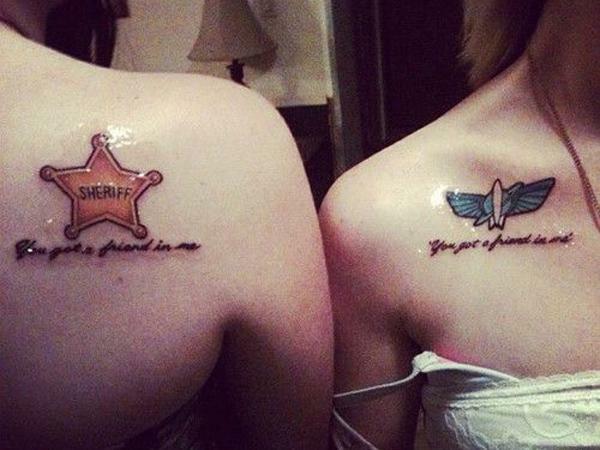 Brothers and sisters understand each other more than anyone else in the world, and these 17 tattoos just get what a sibling-relationship is really about! Three sisters with infinity knot tattoos entwined with a heart and each of their initials would make any parent proud. 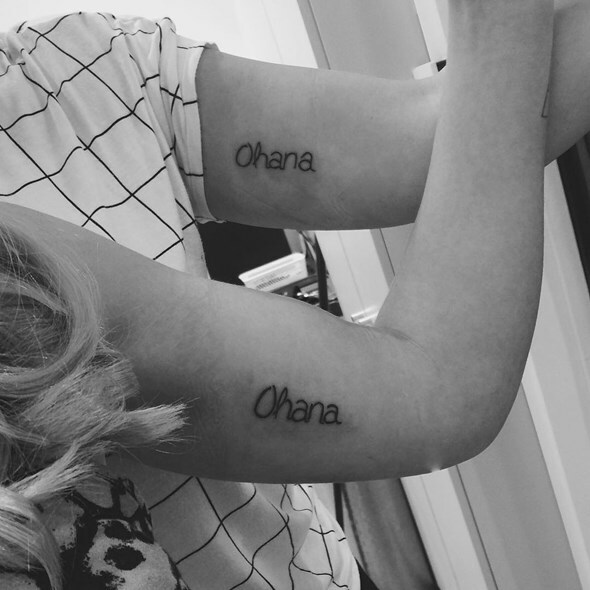 Two sisters with matching Toy Story tattoos are the envy of every Disney fan. No one’s going to be messing with this brother and sister after they see they’re protecting each other. 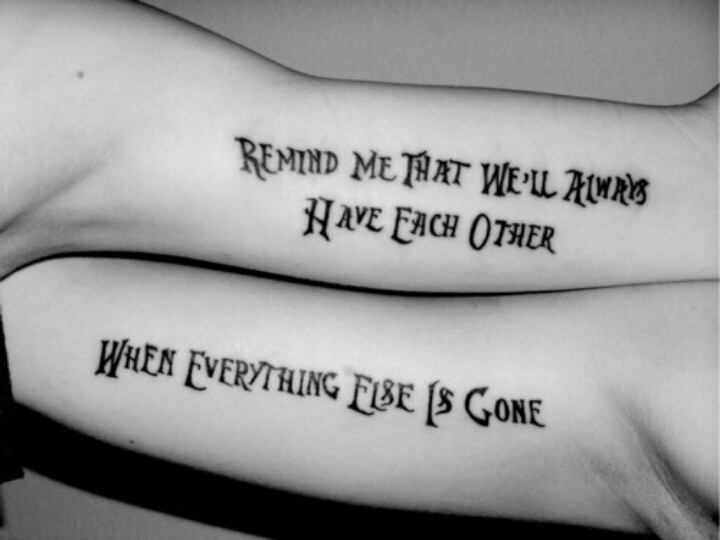 These brothers rock hard for getting Incubus lyrics inked across both of their biceps. 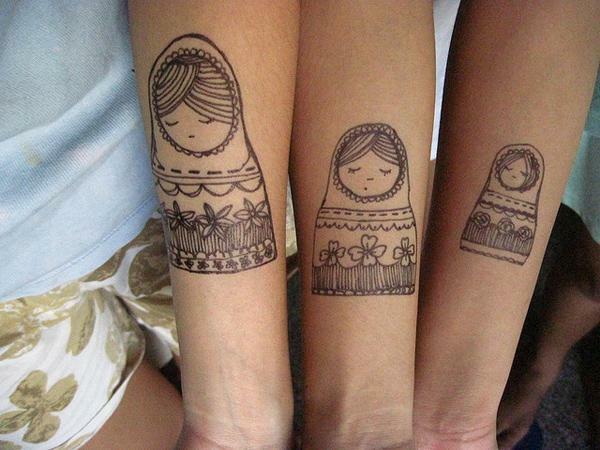 These Russian doll sibling designs score a thousand points for charm and creativity. 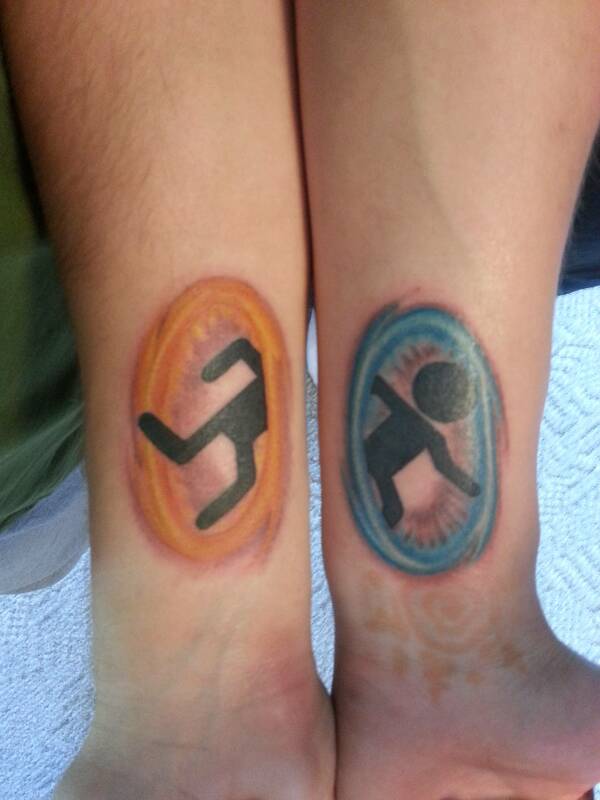 If you’re looking for a clever idea, how about matching portal tattoos like the ones these twin brothers got? 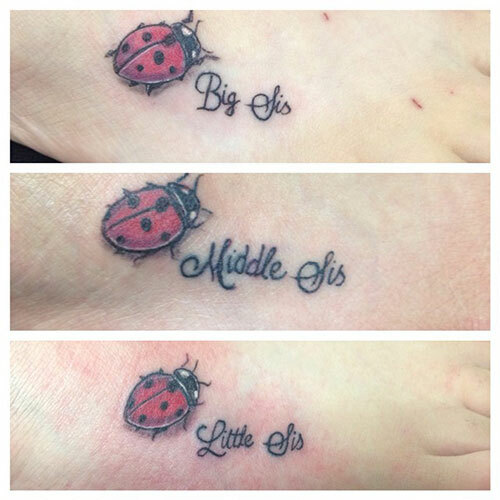 If there’s three in the family, no one will get left out with these cute ladybird tattoos. 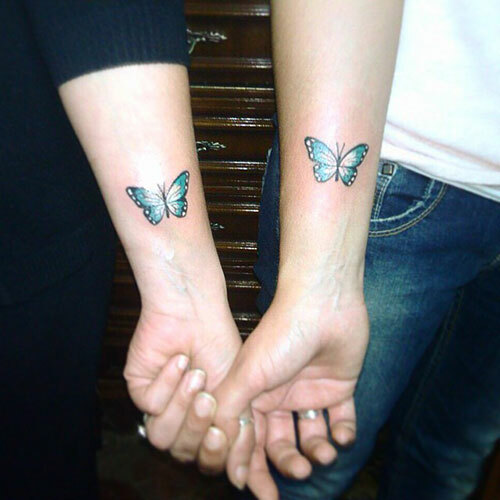 Or for twin sisters, what about these sweet butterfly inks? 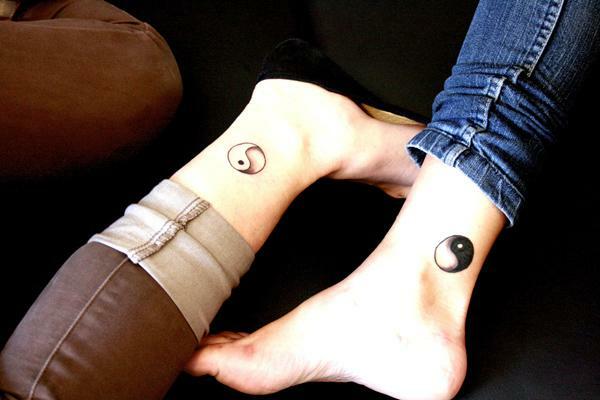 If you and your sibling are complete opposites but love each other anyway, a yin-yang design might reflect this best. 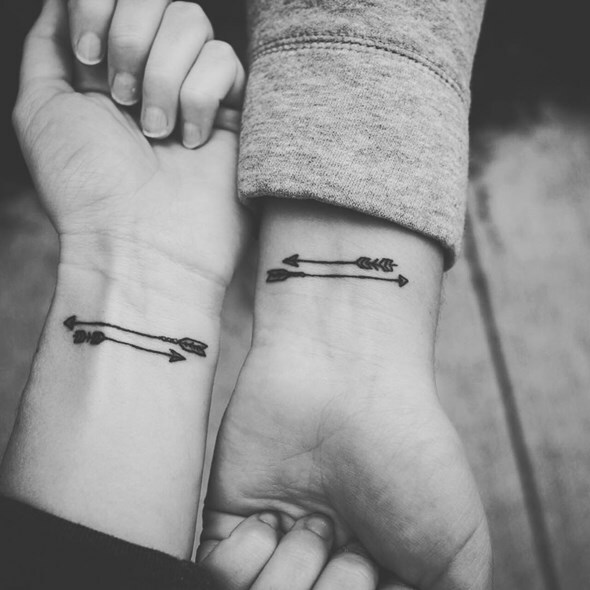 These arrow tattoos show that no matter what direction you’re facing, there’ll always be a part of you pointing back to your sibling. 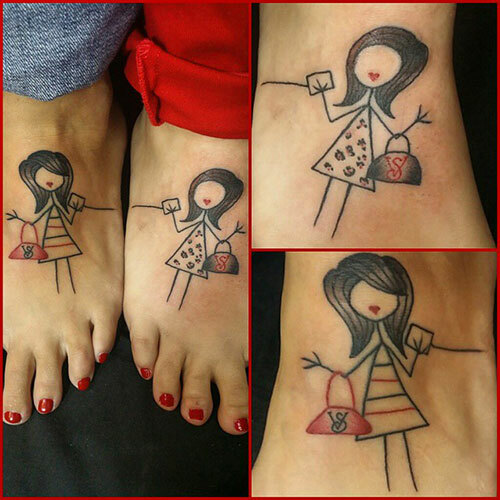 For something a little quirky, these sister tattoos will represent the shopaholic in you. The infinity symbol interlaced with a delicate feather design is a simple, yet meaningful sister tattoo. 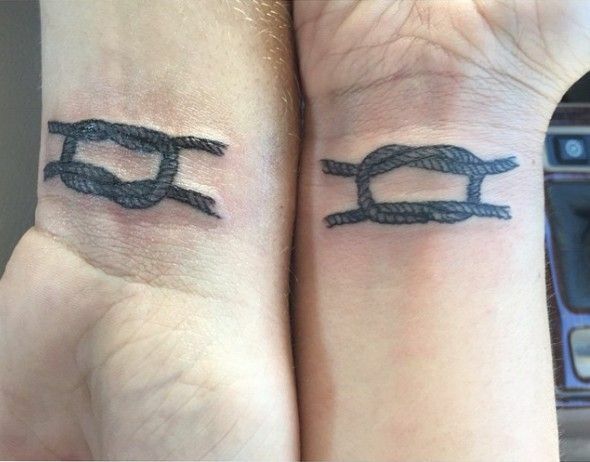 These nautical reef knot tattoos are like permanent friendship bracelets for siblings. These heartbeat sibling designs are a contemporary way to show your sibling you care about them. “Ohana means family. Family means nobody get’s left behind” — Lilo & Stitch. A suit of cards representing a complete family is great for those who are looking for something subtle. Last of all, we have a tattoo that is incomplete on it’s own but whole when it its placed side-by-side. Beautiful! Did You Know These Truths Behind Come Dine With Me?